A great year at Sage-femme Midwifery!!! 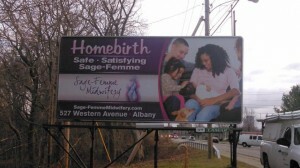 Sage-Midwifery has a billboard! 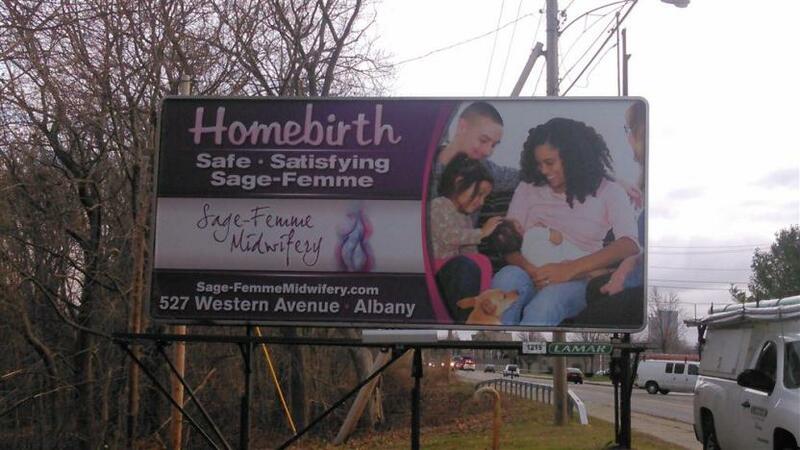 During January of 2016, Sage-Femme Midwifery has a billboard on Delaware Avenue near the Normanskill Creek in Delmar. It displays one of the Sage-Femme families with Kelly. Check it out! Welcome to Our New Website - We are excited to welcome you to our new website. Be sure to check out our Facebook page, as it is a great place to meet other Sage-Femme Ladies and stay up to date on news and information.